Battery Contact in Springfield, Illinois offers custom battery packs to replace those hard to find batteries. 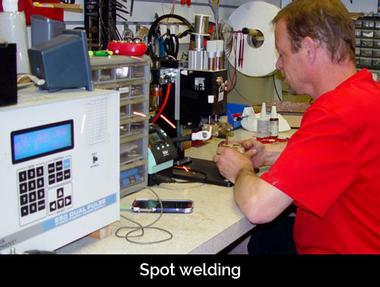 We have on-site spot welders ready to build what you need. We are able to create new designs or copy batteries that you are already using. All of our locations send custom packs to our battery fabricating technicians at our Springfield location to complete the work in a timely manner. Have a favorite power tool with a worn out battery? We also repack power tool batteries to give our customers a better battery at a lower cost. We re-use your existing battery case and rebuild it with quality, fresh long running batteries. Our custom packs and repacks come with a full one year warranty. please stop by one of our Locations to speak with one of our knowledgeable staff members. You can also call us at (217) 789-6049, or email us at batterycontact@rexxbattery.com. Cracked iPhone screen? Touchy charge port? Our Springfield, IL location offers screen repairs and replacements for the Apple iPhone and Apple iPad. We also offer a variety of other services such as charge port repairs on iPhones and iPads. You can even have us add a new battery to make your device run like new again. iPhone repairs are typically done same day in as little time as thirty minutes. Give us a call or stop in any time for a quote! The technician is available Monday through Friday 9am to 5pm. Power Wheels® are built tough, but occasionally need service or replacement parts. 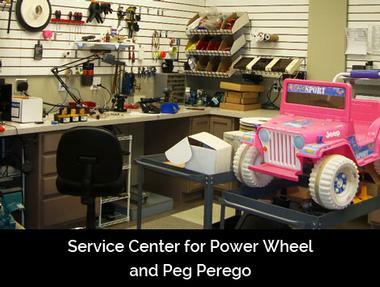 Power Wheels® has independently owned and operated authorized service centers nationwide and we are proud to be one of those centers. We carry replacement parts, batteries, and chargers in addition to providing repair for vehicles in or out of warranty. Peg Perego manufactures a number of kid-sized riding toys that are built for years of enjoyment. But like most vehicles, they require maintenance from time to time. Rexx Battery is an authorized service center and carries the parts you need to get your child “back on the road” in no time. Need to know if your battery has any life left in it? We offer free battery testing and free installation of 99% of all applications. 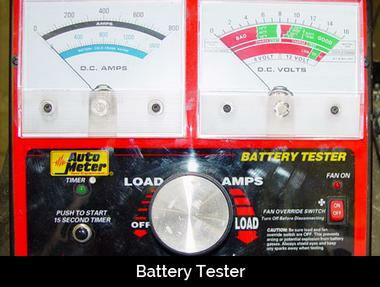 The best part is, we can test your battery while you wait—no appointment necessary! To find the location nearest you to test your battery or charger, please check out our Locations & Hours. Rexx offers a variety of pre-made cables for your convenience. If we do not have a cable pre-made we can custom make it for you. Just let us know the cable size and length and then what connectors you need. Feel free to call or stop in any time for a quote!